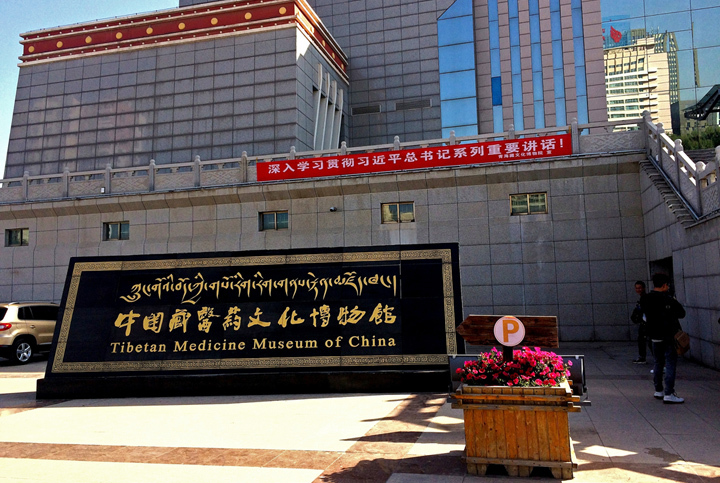 Tibetan Medicine and Cultural Museum. (TibetanReview.net, Nov16, 2018) – China said Nov 15 that its largest Tibetan medicine-themed museum had been expanded into a comprehensive museum that displays all aspects of Tibetan culture with the unveiling on Nov 9 of the second phase of the Qinghai Tibetan Culture Museum. The construction on the 30,000-square-metre complex had taken five years to complete, reported China’s online Tibet news service eng.tibet.cn/eng Nov 15. The report said the second phase of the museum on China’s version of Tibet’s culture included the Silk Road and Civilization on the Qinghai-Tibet Plateau Hall, the Tibetan Architectural Art Hall, the Calligraphy Art Hall, the Tibetan Carpet Hall, and the Clothing Hall. In addition, the “Treasure of the Museum” – described as Painting of “China’s Tibetan Culture”, which once received the Guinness World Record – had also been moved to the second phase museum. The 608-metre-long painting, completed in 1997 and worked on by 400 artists over four years, is described as “the encyclopaedia of Tibetan culture”. The report cited Ai Cuoqian, director of the Qinghai Tibetan Culture Museum and president of the Qinghai Tibetan Medicine Society, as saying the layout of the first phase of the museum was based on Tibetan Medicine culture while the second phase featured overall Tibetan culture. The museum is expected to play a greater role in enhancing the soft power and international influence of the Tibetan culture as well as the Chinese culture, the report said. The report noted that the first phase of the Qinghai Tibetan Culture Museum (also known as the Qinghai Tibetan Medicine and Culture Museum) had been completed in 2005. The museum is a major attraction in Qinghai’s capital Xining.